A various assortment of packages can be classified as dangerous, hazardous, or high-risk, and thus require a special type of corrugated box. Whether the shipment contains paint, solvents, or explosives and fuming acids, they are required to be shipped in UN Certified corrugated boxes. The United Nations Committee of Experts on the Transport of Dangerous Goods is responsible for issuing these unique boxes. From Miami to London to Taiwan, they provide the basis of all national and international regulations for the safe transport of dangerous goods. In order for a package to become “UN Certified,” it must pass rigorous testing procedures to ensure it can withstand normal transportation conditions. First, all packages need to pass a drop test. The UN places each corrugated box into a danger group (high, medium, or low), which then determines its drop height. All packaging (except bags) is tested to see if similar boxes of identical weight can be stacked on top without causing damage. Liquid packages also undergo leak proof and hydrostatic testing. The purpose of the hydrostatic test is to ensure that no leakage of liquid occurs due to vapor pressure build-up at various temperatures. Because certain chemicals can emit a vapor that increases as the temperature changes, shipments must be built to withstand the internal pressure that is created. If you need access to these reliable UN certified boxes in Miami, look no further than TOTALPACK. We can order any corrugated box you need, just speak with a sales representative today! Here at TOTALPACK, we keep a substantial amount of products in stock in our Miami warehouse. These products include janitorial supplies, stretch film, corrugated boxes and sheets, among many others. We do produce some of these products in-house (like our custom tapes and labels) but most are delivered by a third party and stored in our warehouse until distribution. 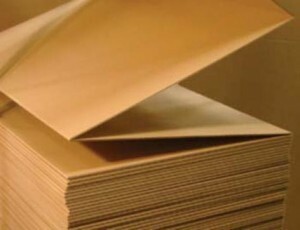 One company that produces corrugated boxes is International Paper (IP). International Paper is the leader in the paper and packaging industry with operations in North America, Europe, Latin America, Asia, and North Africa. International Paper manufactures a plethora of products besides corrugated boxes. Production from IP ranges from paper to cups to fluff pulp, even retail displays. We carry two types of their cardboard shipping containers: single and double wall. The main difference between the two is the number of corrugated sheets in each panel of the package. Corrugated boxes with a double wall can support more weight and are sturdier than those made with only one wall. We take pride in our brands and are excited to know that International Paper is one of North America’s largest recycler of office paper and corrugated boxes. With 21 recycling facilities across North America, 15 containerboard mills, and a significant national brokerage system, IP collects, consumes, and markets more than 6 million tons (approximately 10%) of all paper recovered annually in the United States. International Paper collects and processes this recovered paper and corrugated boxes at their own plants as well as purchases recovered items from outside sources. The recovered paper is then used by their mills to create new paper products or is sold to other manufacturers across the globe. If you’re looking for shipping containers in the Miami area and don’t want to spend a fortune at your local office supply store, we offer a variety of shapes and sizes. Corrugated boxes from TOTALPACK ensure quality and cost savings for your company, all while supporting recycling trends!